US President Donald Trump lambasted the Boeing 737 Max plane on Monday, saying it should be improved. Washington: US President Donald Trump lambasted the Boeing 737 Max plane on Monday, saying it should be improved with unspecified new features and given a new name. The model has suffered two deadly crashes in a matter of months, the first last October in Indonesia with the death of all 189 people on board and then in Ethiopia on March 10, killing all 157 aboard. Both accidents took place shortly after takeoff. 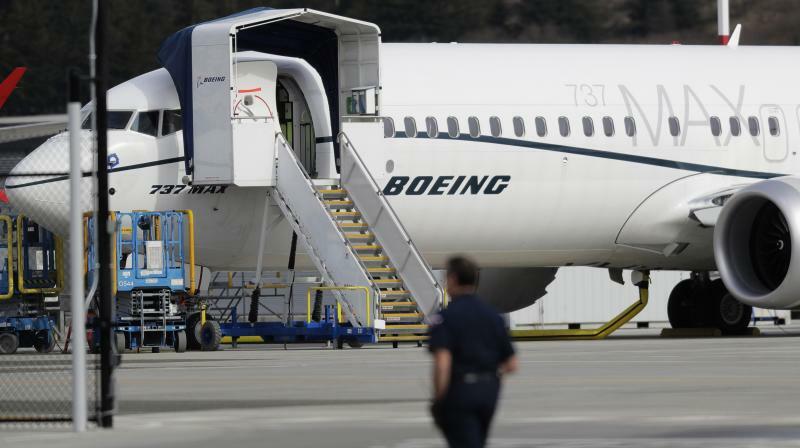 Investigators are focusing on a system that is supposed to help the Boeing workhorse aircraft avoid stalling in flight. "What do I know about branding, maybe nothing (but I did become President! ), but if I were Boeing, I would FIX the Boeing 737 MAX, add some additional great features, & REBRAND the plane with a new name,"
Trump wrote in an early morning tweet. "No product has suffered like this one. But again, what the hell do I know?" he added. It is not the first time Trump has weighed in on the Ethiopian crash. Two days after the plane went down, he tweeted that these days jetliners are "becoming far too complex to fly".